THE DOG DAYS ARE HERE :: Grammar, style, and proofreading quizzes use sentences from literature. Welcome to Dies Caniculares! Ancient civilizations observed that temperatures were hottest in mid-July through mid-August when Sirius, the “Dog Star” rises next to the sun. Sirius means “glowing” in Greek. It is the head of the dog in the constellation Canis Major – the Big Dog. The star glows blue-white on the horizon near the sun at dawn. Sirius is the brightest star in the night sky because it is closer to earth – only 8.6 light years away – not larger in energy or light output. The only objects brighter than Sirius are the sun, moon, Venus, Jupiter, Mars, and Mercury. The Dog Days were dreaded by ancient Greeks and Romans. They thought the period between July 24th and August 24th brought forth evil. During the hot, dry Dog Days it was believed that wine turned sour, the seas boiled, dogs went mad, people contracted disease and fever and were susceptible to hysterics and frenzies. The Romans tried to bargain with the gods for a cooler July and August by sacrificing a red dog in April. Today Europeans do as the Roman aristocracy did – they go on holiday in August. Superstitions die hard. Some people still think that hot weather causes violence during the Dog Days. Criminologists have studied seasonal crime in the U.S. for more than a hundred years and have yet to find any correlation between hot weather and crime. A study that analyzed crime in 2007-2009 in New York City found that the most crimes occurred in September, followed by August, October, July, and December. More than a hundred studies of crime statistics confirm that it’s not the heat, it’s the opportunity for social interaction that drives the crime rate. When teenagers are not in school, the crime rate for personal property crime (burglary, larceny, auto theft) goes up nationwide. During warm weather people leave bicycles in the front yard or leave the garage door open. They may leave their car idling to keep the air-conditioning on, or windows up to cool off a room. Does the rising mercury drive people mad or make them violent? Nationwide the month with the highest homicide rate is December. The National Academy of Sciences issued a study in July 2013 that did conclude there is one aspect of human behavior that is recommended during the Dog Days: Summer is the best time to conceive a child. May is the worst month to conceive because the baby will be born in the winter. Babies born in winter have lower birth rates, weaker immune systems, poorer vision and hearing, slower cognitive development than babies born in spring and summer. 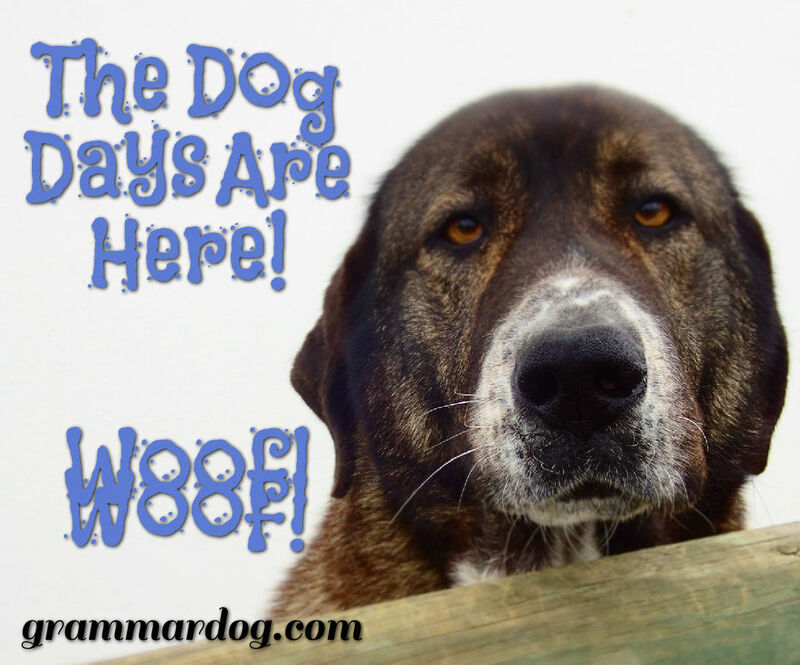 It seems the ancient Egyptians had it right when they recognized the Dog Days as a time to celebrate fertility!